There are two types of coverage for your possessions under your Homeowners Insurance Policy: Actual Cash Value and Replacement Cost Coverage. Under Actual Cash Value, the insurance will cover the cost of replacing the property minus an allowance for depreciation. If you have, say, older furniture, that allowance could be quite significant. Unless your policy specifically says it provides replacement cost coverage, the coverage is for actual cash value. Under Replacement Cost Coverage, the insurance company will cover the cost of replacing property that is damaged or stolen, up to a maximum dollar amount. Replacement cost is better for you, the homeowner. To insure your Texas home appropriately, you want to make sure that you have enough coverage to rebuild your home in case it gets completely destroyed. That means the limit on your home insurance policy should be equal to the cost to replace your home. The replacement value is calculated on a “cost per square foot” basis: take the square footage of your house and multiply it by the average square foot building rate in your area. Your insurance agent will be able to help you calculate the replacement value. Unfortunately, there are certain exceptions to the coverage on your homeowner insurance in Texas. These exceptions generally include loss due to flooding, earthquake, landslide and certain other perils. If you live in a flood or earthquake prone area, or on a hillside, you might wish to consider buying additional protection for these perils. There are other limitations in the Washington homeowners insurance policy: Although there is coverage for the contents in your home, this coverage is limited for certain valuables, including jewelry, art, and computer equipment. As a rule of thumb, if you have a collection or an individual item worth at least $500, you should consider additional coverage options by buying a personal property endorsement or “floater”. A “floater” is attached to your homeowner’s policy and provides the additional coverage you need. The higher the value of the items you’d like to insure, the more the added-on coverage will cost. You’re getting ready to buy a home and know that you’ll need insurance to cover your house and all your belongings that go along with it. Knowing you have insurance coverage in case of theft, fire or other unexpected occurrences may help you sleep better at night. But how much insurance should you consider? Understanding the basic coverages and the ones you can “add on” to your policy can make it easier to determine what you need. How Much You May Need: Determined by the estimated cost to rebuild your house, not by the market value of your home. If you have a mortgage, your lender may even require certain dwelling coverage options, limits and deductibles, however, under Texas law mortgage companies cannot require you to carry a dwelling limit higher than the replacement cost. How Much You May Need: Generally, most policies cover detached structures for about 10 percent of the amount of insurance you have on the structure of the house. Based on what other structures you have on your property, you may want to consider increasing this percentage. How Much You May Need: It’s up to you to decide whether you want the actual cash value personal property coverage that is generally included in a homeowners policy, or the optional replacement cost coverage. Both are subject to applicable policy limits and deductibles. 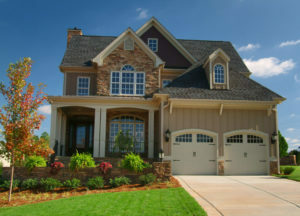 Most home insurance companies will set your personal property limit between 50% to 70% of your dwelling coverage. You will need to determine the total value of your possessions to decide whether this default amount is appropriate for your needs. A great way to help more accurately estimate your personal property coverage needs would be to take an inventory of everything you own, and assess the value. What It Is: If you’re not able to live in your home due to a covered loss, this part of the policy pays additional living expenses while your home is being restored. How Much You May Need: Many homeowners insurance policies provide a minimum of $300,000 in personal liability coverage, meaning the insurance company can pay up to that amount in total to injured persons per occurrence. If you feel you need more protection, higher limits are available. You can also purchase an umbrella or excess liability policy if you think you need additional liability coverage. A suggested “rule of thumb” is that you should have enough liability insurance to cover the total value of your at-risk assets. Your vehicle, money in a bank account and some investments could all be at risk if someone sues you and you don’t have sufficient insurance. While homeowners insurance seems complex, it can be easier to digest when you break it down by coverage. Keep in mind that all homeowners policies aren’t identical, you’ll want to understand what’s covered in an insurance policy before you purchase it. Scheduled Coverage: Valuable jewelry, coins, silver, fur, and collections should be scheduled under a personal articles floater because most policies limit covered losses to less than $2,500 typically for these items. Click the button below to get your online insurance quote.